How might we sustain our business and improve our customers’ relationship with their money? The European banking market is about to change. By 2018 people across Europe will no longer be locked into their bank’s financial systems. They will be able access and use their bank accounts via third parties. This means that if a bank customer wants to pay a friend, compare products, or do any other type of standard financial activity, they can choose a provider to do this for them. This is designed to increase competition, offer customers more choice, and kickstart innovation in financial services. The ‘Payment Services 2 Directive’ will open up local markets to exciting new entrants. And many of these new entrants will not be banks, and many of them don’t yet exist. A more open banking landscape with new services and improved products will be great for customers. However, many will start to question the value that their bank provides. This has already happened in other countries. New challengers like Simple in the US or N26 in some European countries are delivering richer, more personal, truly mobile experiences. The greatest immediate risk for banks is that they become the “dumb pipe”. They will still keep their customers, but the new banks will own the “experience layer”; everything from point of sale to balances and transactions will be conducted through the new bank’s interface. The traditional bank will just provide the underlying infrastructure. In losing access to these vital touch-points, banks will lose all of the associated valuable transactional data. And it’s this data that’s their best opportunity to retain customers, and, most importantly, to sell more profitable products like loans and credit cards. Mark Carney, Governor of the Bank of England, believes there’s a wider, systemic risk to the banking sector. If customers move in large numbers to more user-orientated, ‘non-banks’ the liquidity of traditional banks could be impacted, which ultimately could undermine the banking system and how markets function. Yes, the global economy could literally rely on your bank getting it’s online customer experience in good shape. There’s real potential of disruption in the banking market. But there’s an opportunity and, more importantly, still time for established banks to protect their business by improving their offering. And if they do this right they could even capture more of the market. Let’s see what success might look like. 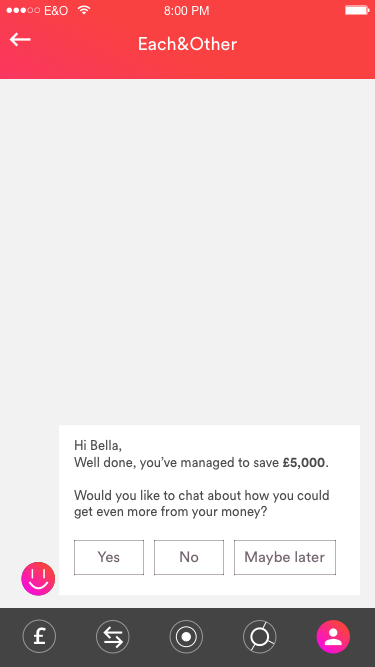 Best help our customers make better financial decisions? Best make our customers better savers? Best make our customers better off? Best become more of a trusted advisor? Best do all this in a world that is increasingly digital? As banks have moved their services online, many of the old banking artefacts haven’t changed. As an example, take the transaction history list. It’s nothing more than a chronological list of transactions, much like email before Gmail. While the transaction list is just one feature, it’s the thin edge of the wedge. 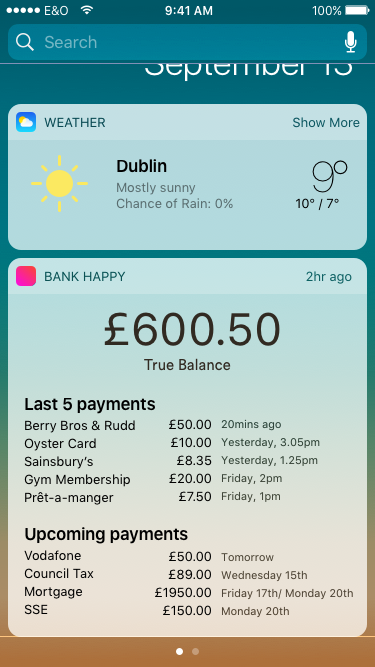 When neobank challengers like N26 use spending data to provide a better, more personal, tailored service, the question becomes, “What do I need a bank for?”. Customers need a clear picture of their current and near-future finances. They want to know how planned payments and deductions will impact them. 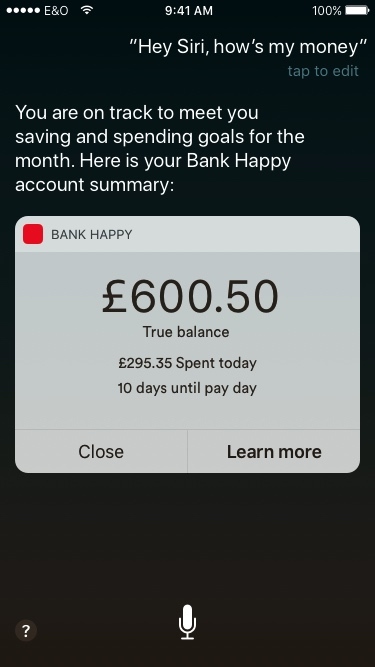 Balance is the first thing most customers look for in their bank’s app. Yet, it’s a deeply flawed number. It doesn’t show known deductions or additions that are going to come later today, this week or this month, based on previous spending patterns. If a bank knows more about a customer’s cash-flow than the customer does, they should act like it. We’ve rethought the transaction list to deliver smarter, at-a-glance insights into how customers spend their money, and what they spend it on. They can always drill into the detail whenever it suits them. 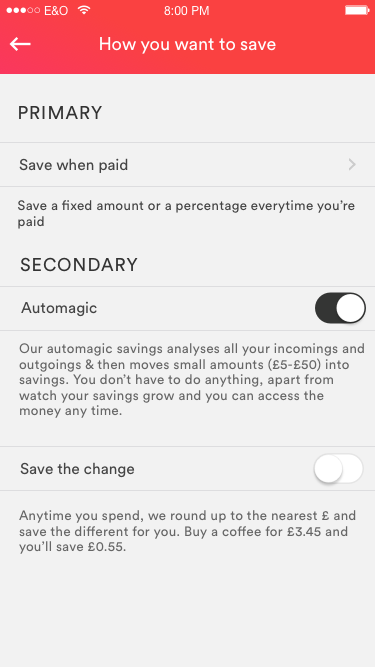 And by adding a daily spending limit we can create just enough friction to give customers time to think before they make a decision. As money has moved from bills to bytes customers should be given more control over their finances. Yet customers feel no more in control of their finances now than they did 10 years ago. Paying a friend, wherever they are in the world, shouldn’t be a chore. 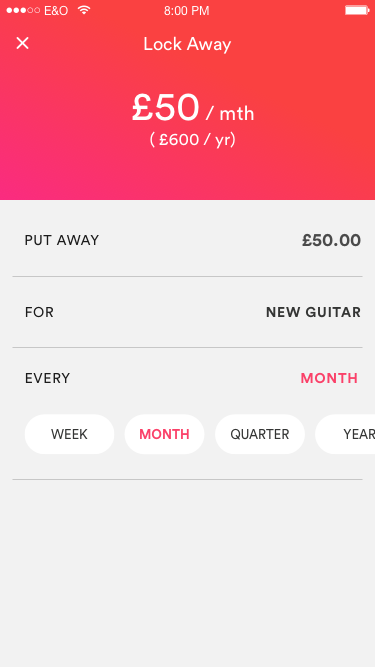 We’ve designed payment requests so that whether it’s the housemates’ rent or a hen night kitty, it’s easy to track who has paid and who hasn’t. And, of course, sending a polite reminder to anyone who owes you money is no longer socially awkward. Banks offer very few, if any, tools that map how customers actually manage their money. 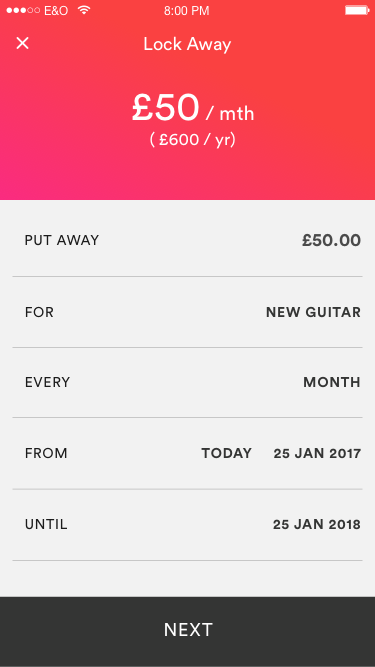 Why can’t the customer do things like “put away” money for things they know they’ll need soon, whether it’s a new homebrew kit or piano lessons for the kids. No one likes the nasty surprises: an unexpected payment hitting their account, or a declined transaction at the store. These are easily preventable with daily spending limits, real-time notifications of upcoming payments and easy access to the spendable balance. Customers really value guidance and advice, yet they don’t get it from their bank. 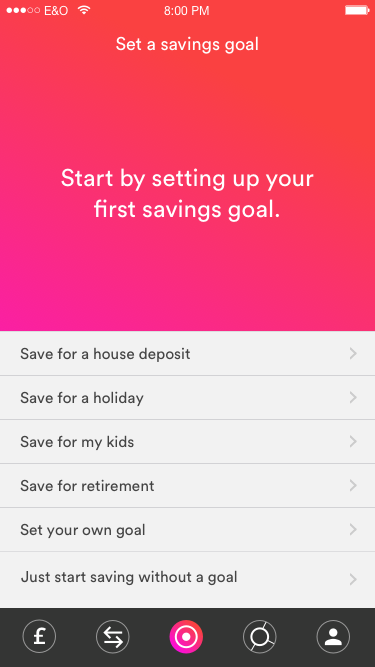 Savings can start with a concrete goal like a holiday or a house deposit but there also needs to be something for people without specific savings goals, and for people who feel they can’t afford to even start. A clever mix of chat-based AI with a human follow up can make for a less daunting and more contextual conversation, strengthening the bank’s connection with their customers, and building trust. 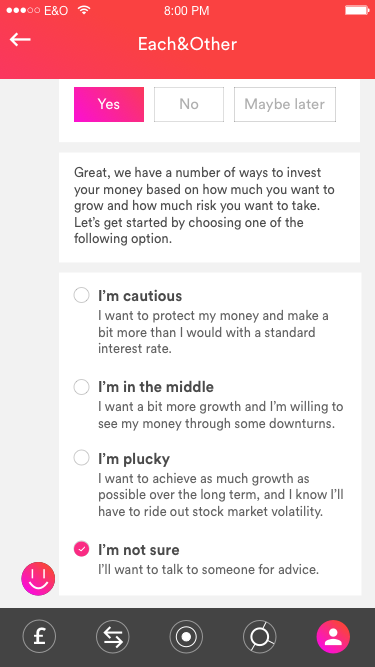 Here, we’ve designed an informal approach to starting a conversation about investing. Weekly, monthly and yearly financial reviews delivered in a clear, visual, and straightforward way can help customers reflect on their finances; while just-in-time insights and smart tips can help them make better informed decisions. These are simple, straightforward ideas based on insights from research we’ve conducted with dozens of bank customers. 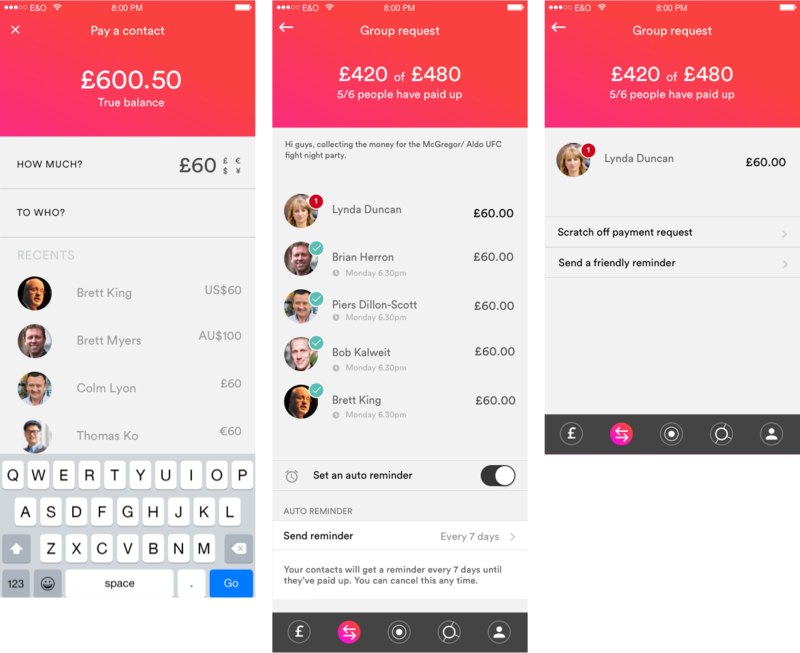 There are likely good reasons why banks haven’t implemented something like this – but users won't care about good reasons, they just care about good services – and will use whatever company provides those services. The challenging part is designing an approach to banking that delivers real value in people’s lives within the unique constraints each bank works under. That’s the kind of challenge we love. If you’d like to talk to Lar about this get in touch. 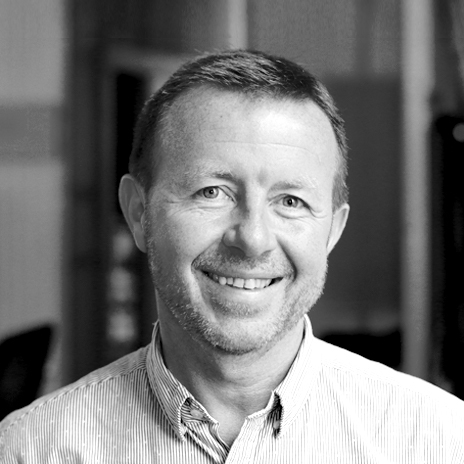 Chat to Dermot about transforming your business.